Baucau (Tetum: Baukau), is a district of East Timor, on the northern coast in the eastern part of the country. The capital is also called Baucau (formerly Vila Salazar). The population of the district is 111,694 (census 2010) and it has an area of 1,506 km². The subdistricts are Baguia, Baucau, Laga, Quelicai, Vemasse, and Venilale (formerly known as Vila Viçosa). The district was the same during the colonial era. Its north edge is to the Wetar Strait; it also borders the districts of Lautém to the east, Viqueque to the south, and Manatuto to the west. Besides the national official languages of Tetum and Portuguese, most of the inhabitants speak the Papuan language Makasae. While most of the inhabitants are Roman Catholics, a few Muslims also live there. 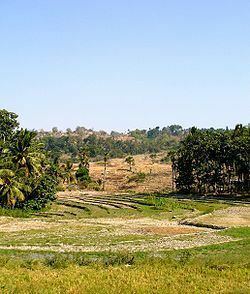 Baucau has the most highly developed agriculture in East Timor. Besides the staples rice and corn, Baucau produces beans, peanuts, sweet potatoes, copra, candlenut and manioc. It also raises buffalo and goats. A shortage of transportation links and the unpredictability of energy availability stymie the development of emerging industries. In the subdistrict of Venilale are tunnels that the Japanese built during their occupation in the Second World War. Also in this subdistrict is an ongoing project to reconstruct and renovate the Escola do Reino de Venilale (School of the Kingdom of Venilale). Baucau also has a wide coastline with sandy beaches, ideal for swimming and other watersports. Baucau has the country's longest airport runway, in Cakung Airport, as currently, Dili's Nicolau Lobato International Airport can only serve small airliners like the Boeing 737. The airport is located six km from the city of Baucau. It served as the country's principal airport before the Indonesian invasion in 1975, when it was taken over by the Indonesian military. 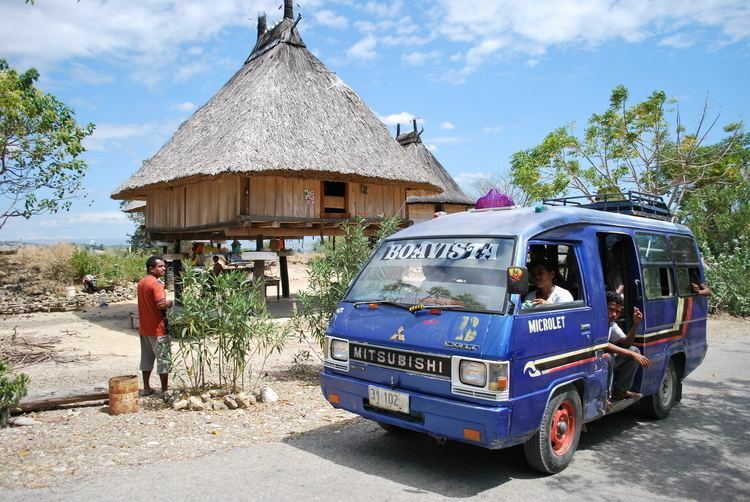 Bucoli, a village with symbolic role in the East Timorese resistance movement, is located in the subdistrict of Baucau.